There are thousands of people looking for a job on a daily basis. They search through hundreds of offerings trying to close a job interview but for many reasons they are not so lucky. Of course besides luck they also make mistakes. 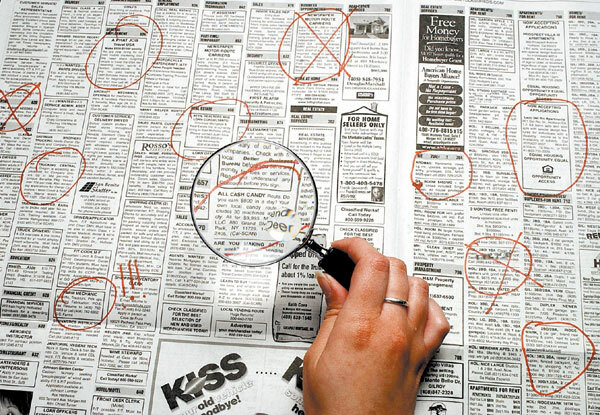 9 of most common mistakes in finding a job and how to avoid them are explained below. “Experience is the name everyone gives to his mistakes, “Oscar Wilde. If you don’t read the job description carefully then how would you know what skills are required for the job? Many people are confused by the countless ads they read and do not pay attention to the details of the ad, so they do the exact opposite of the instructions. You must correct any spelling or grammar mistakes in your CV otherwise you destroy any opportunities for future employment. Often people work so hard to create a well written resume or letter, but forget to do the basic spelling and grammar checks. So, before you deliver it, use a spell checker (Word spell checker is just fine) and read it two and even three times! Without a cover letter your CV is not complete! The CV shows the events in your life from education to work experience and the cover letter conveys the attitude and personality. Employers ‘like it’ when candidates try to explain both their qualifications and aspirations. It is an action that will make your CV stand out of the crowd! You should not be afraid of your persistence to get a job, but that does not mean you have to become annoying. We need to show your future employer that you have the confidence and appetite for work. After the interview you can send an email, as a thank-you note or you can contact the person responsible (after a few days) and ask for an update. The internet can help us ‘close’ an interview, but also to destroy it! It is good before sending your CV to Google your name to see what kind of information or images appear in the search results. At the same time, it’s a good idea to restrict access your profile on Facebook, Twitter etc. so your future employers cannot look to at the photos or things you post. The Internet is a great way to find new opportunities but there is nothing like a personal contact. Get off the couch and start building your networking strategy. This will not only require making a phone call to the employer (beside sending an email), but it may mean the delivery of your CV in person. ‘No’ spontaneous answers will not give the best impression, since impulsive reactions can ruin an interview. Try to think about the answers to the most “classic” questions before the interview. Your goal is to persuade them that you care about this company and not just about the job. For this it is necessary to know enough about the company so do your research before and get prepared.